A comprehensive online directory of accredited nursing schools. Find information on the different types of nurses and where to find employment outside of the hospital setting. Find information on different kinds of nurses, including: type of work done, the necessary degree, and career outlook. BodyMaps is an interactive visual search tool that allows users to explore the human body in 3-D. Users can search multiple layers of the human anatomy, view systems and organs down to their smallest parts, and understand in detail how the human body works. OJIN is a peer-reviewed publication that provides a forum for discussion of the issues inherent in current topics of interest to nurses and other health care professionals. The intent of this journal is to present different views on issues that affect nursing research, education, and practice, thus enabling readers to understand the full complexity of a topic. The journal is indexed by Medline, CINAHL, ProQuest, and Scopus. Research articles concerning rural nursing and/or rural health-care. At least one author on each manuscript must be a member of the Rural Nurse Organization (RNO). This journal is indexed by Academic OneFile. This is a peer reviewed journal. Every published article has been reviewed by members of the editorial board and the editor-in-chief. All articles are archived by Internet Scientific Publications LLC and recognized by The Library of Congress Catalog of Publications. Indexed with Directory of Open Access Journals DOAJ, Google Scholar, Embase, Scopus, Cinahl, Ebsco, Gale, J-Gate, Open J-Gate, Socolar, Academic OneFile, and Index Copernicus. The Online Journal of Nursing Informatics (OJNI) is a free, international, professional, refereed publication that focuses on nursing informatics in all practice settings. OJNI is committed to addressing the theoretical and practical aspects of nursing informatics as it relates to the art of nursing. CINAHL indexes the journal. Includes authoritative fact sheets, posters, and other materials resulting from collaboration between librarians at ebrary and other organizations. To enable people to discover valuable H1N1 data, this collection is a highly interactive database of PDF documents from government agencies and other authoritative sites (copyrights permitting or with permission). The Maryland Nurses Association is the only state-wide, non-profit, multipurpose professional membership organization for Registered Nurses in Maryland. 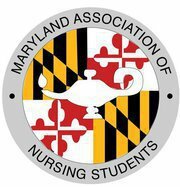 The primary purpose of MNA is to provide direction and a voice for the profession of nursing in Maryland. With a membership of approximately 58,000 nationwide, the National Student Nurses' Association mentors the professional development of future registered nurses and facilitates their entrance into the profession by providing educational resources, leadership opportunities, and career guidance. NurseZone.com is an online community dedicated to providing nurses with professional and personal development information and opportunities. Users will find a wealth of helpful content, from nursing experts’ tips and advice to features on new medical trends, the latest nursing practices, inspiring personal stories, community forums and blogs, and links to continuing education courses, jobs and a variety of nursing-related Web sites. The Diseases Database is a cross-referenced index of human disease, medications, symptoms, signs, abnormal investigation findings etc. 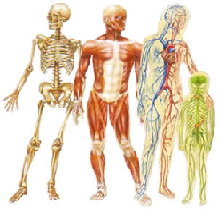 This site provides a medical textbook-like index and search portal covering areas including: symptoms and signs, congenital and inherited disorders, infectious diseases, drugs and medications. The DrugBank database is a unique bioinformatics and cheminformatics resource that combines detailed drug (i.e. chemical, pharmacological and pharmaceutical) data with comprehensive drug target (i.e. sequence, structure, and pathway) information. Video tutorials, guides, lectures, and directories of useful nursing information. Provides an overview and background information of major theoretical models in the nursing profession. This kit provides health and social services providers in the aging services field with health promotion and health education activities to prevent substance abuse and mental health problems in older adults. Developed in partnership with the National Council on Aging (NCOA) and supported by the Administration on Aging (AoA). Provided by the Substance Abuse & Mental Health Services Administration. This publication presents information on identifying, screening, and assessing adolescents who use substances. Provided by the National Center for Biotechnology Information and the U.S. National Library of Medicine. This publication reviews gender-specific research and best practices for assisting substance abuse treatment providers in offering effective, up-to-date treatment to women with substance use disorders. Provided by the Substance Abuse & Mental Health Services Administration.